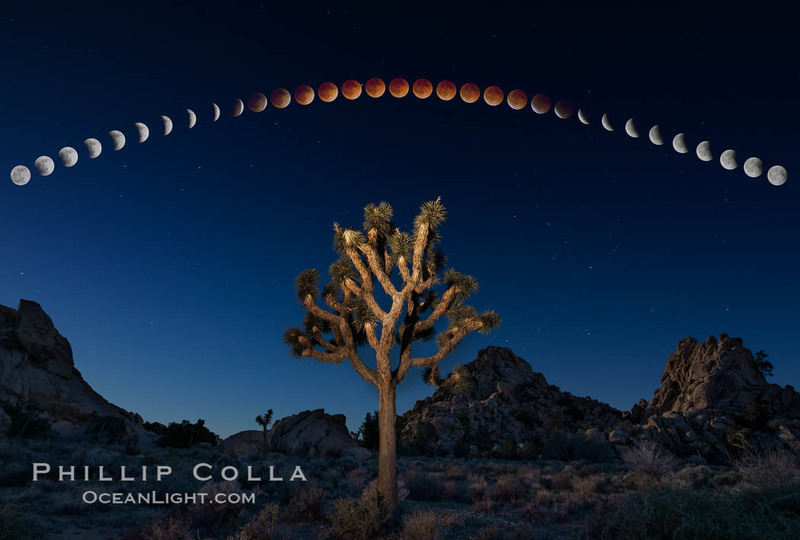 Lunar Eclipse and blood red moon sequence, stars, astronomical twilight, composite image, Joshua Tree National Park, April 14/15 2014. This image is available immediately as a print or for licensing, along with two other lunar eclipse sequence photographs from the April 14-15, 2014 full eclipse. Please contact me for more information. Cheers and thanks for looking!